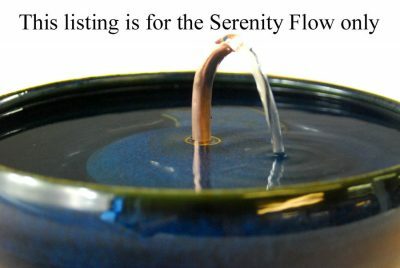 The Serenity Flow delivers a smooth, quiet stream you can adjust in volume and turn in any direction. 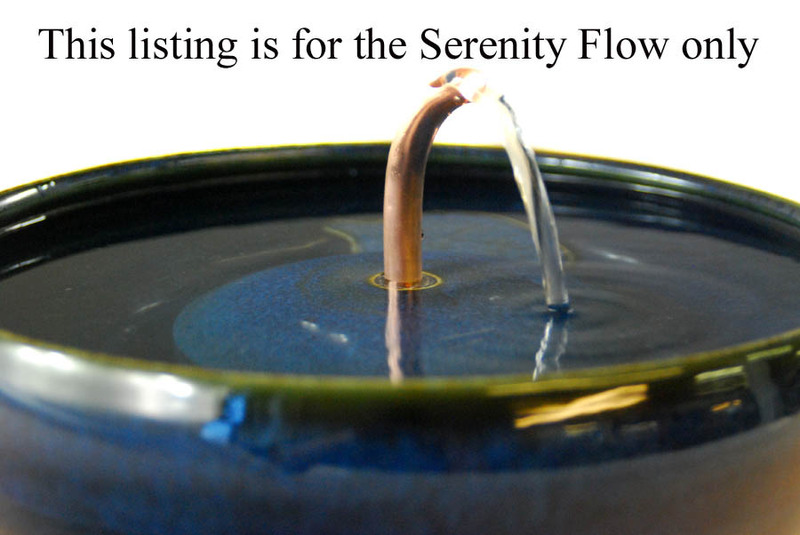 It swaps easily in and out with he straight copper spout that comes with the up-flow fountains. All our copper components are antimicrobial, meaning they actively inhibit bacterial growth in the water. This is the same 99.99% pure copper used in the plumbing of upsale homes. 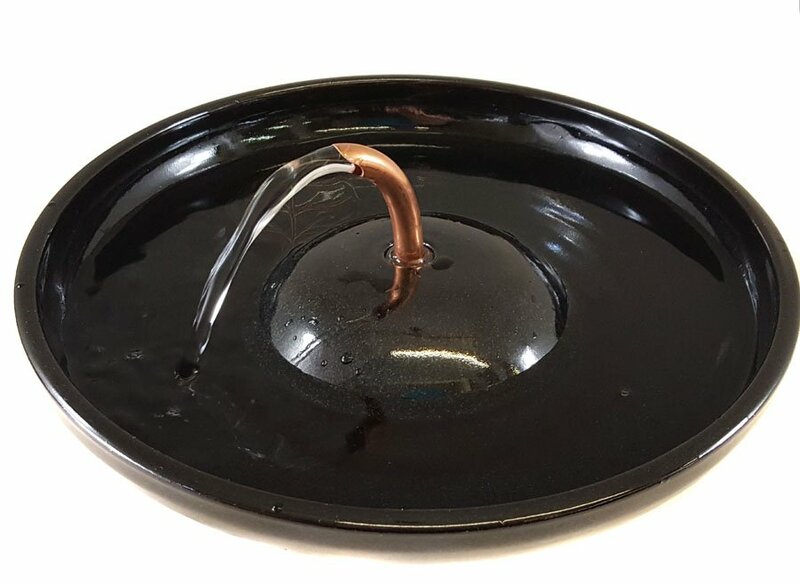 Though none of the fountains need the copper spouts to run well we include them in all the up-flow fountains and can add one to any of the stream or raised up-flow fountains at your request as well.